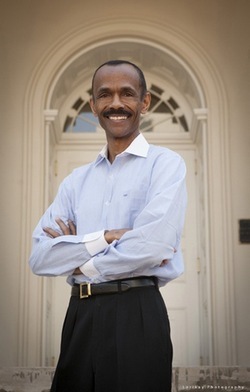 Michael N. Henderson – Author. Lecturer. Family History Researcher. Family history research has a way of grabbing you when you least expect it, seducing you with its morsels of evidence and embracing you with the tiniest answered question to lead you further along the journey to discover more about your ancestors. That’s what the journey has been for me, anyway. For decades, the questions, hints, disappointments, and discoveries have uncovered a window through which I can view the past, and therefore a lens through which to see the present. Insight into the lives of my own ancestors and the history that engulfed them has driven me to seek evidence of other, often ignored, overlooked, or forgotten souls from the past. The pull of these once lively beings drives me to study, appreciate, and learn from whence we have come, and to encourage others to honor those who once walked the earth. Our ancestors want us to know them, to find evidence of their existence, and to appreciate and understand their time and their ways. This is my journey. Interestingly, my journey to discover my Louisiana roots caught the attention of the PBS program, History Detectives. In 2010, the story of two of my ancestors was featured on this national program, and I was happy to be featured as well. “The Galvez Papers” will play after PBS promo. I’m proud to have written my story of discovering my ancestors and connecting to the American narrative. And prouder still that my book has been honored with several awards. I invite you to enjoy Got Proof! My Genealogical Journey Through the Use of Documentation. Order Got Proof! 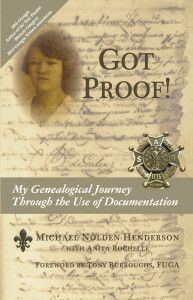 My Genealogical Journey Through the Use of Documentation.